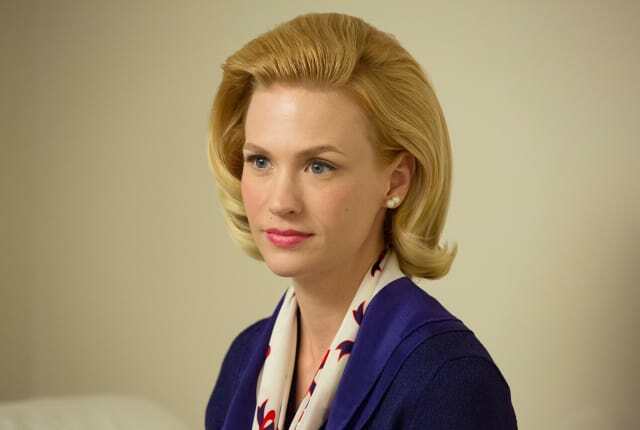 You can watch Mad Men Season 7 Episode 13 online via TV Fanatic. We offer many different viewing alternatives so watch Mad Men online now. When you watch Mad Men Season 7 Episode 13 online via TV Fanatic you will see the final stages in the lives as we know them of Don, Betty and Pete. Someone doesn't have long to live, someone gets their marriage back in order and someone finds a new job. What's it all about? Find out when you watch Mad Men online via TV Fanatic. On Mad Men Season 7 Episode 13, Pete ends up being blindsided by a friend while Don finds he can't sleep and Henry makes plans for a family reunion. I'm afraid Duck Philips has tricked me into a job interview. I stand by my analysis, but I'm happy where I am. Let's take it a night at a time. I'm an optimist. Permalink: Let's take it a night at a time. I'm an optimist.